Microsoft found success in some odd places, while its more mainstream efforts fell short. Everyone loves a killer tech demo, and Microsoft showed off a doozy at its Build conference: a conference room of the future where Cortana could both hear and see, identifying users as they walked in. 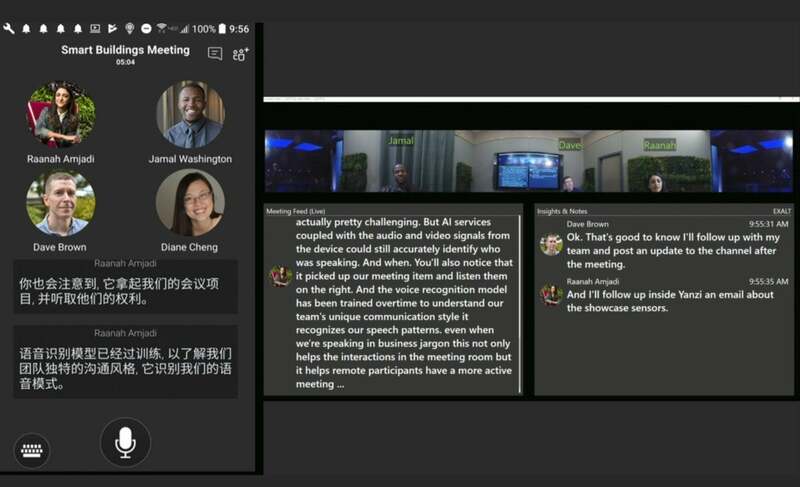 The demo showed off not only Microsoft’s AI technologies, but also its transcription and translation capabilities, as well as the power of its cloud services. Microsoft’s vision may never come to pass, but let’s hope it does. This is exactly the type of forward-looking thinking we like to see. Microsoft’s demo managed to incorporate transcription, translation, machine vision, cloud services, and even a mysterious Cortana speaker. 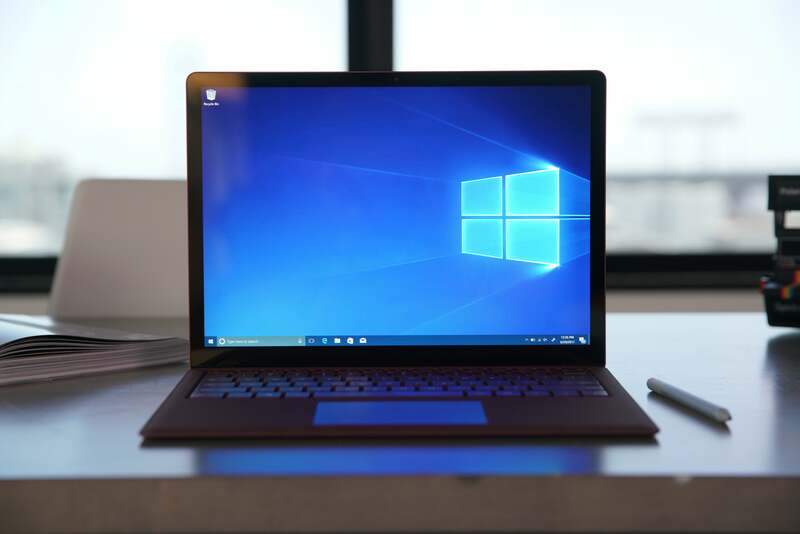 In March, Microsoft’s Joe Belfiore went on record claiming that Microsoft “expect[s] the majority of customers to enjoy” Windows 10 in S Mode in 2019. That may still happen, but whew!—right now, it looks like a major overstatement on Microsoft’s part. 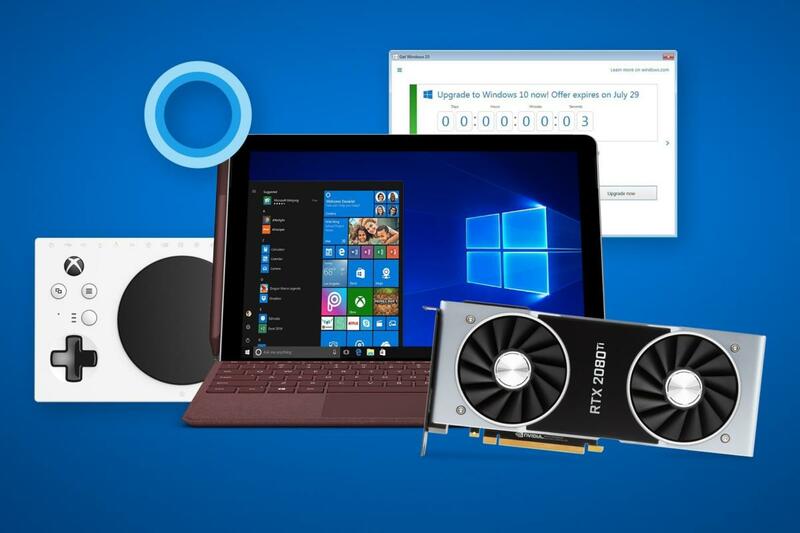 To be fair, Windows 10 S has two redeeming features: One, it enables demonstrably longer battery life within laptops that used Qualcomm processors; and two, it forces the use of Microsoft Edge, which has finally evolved into a decent browser. The ease with which users could “switch” out of S Mode meant that user engagement time was probably minimal. Here’s the problem: The Venn diagram merging those who use Edge and who also use a Qualcomm-based PC probably amounts to a small fraction of the user base. 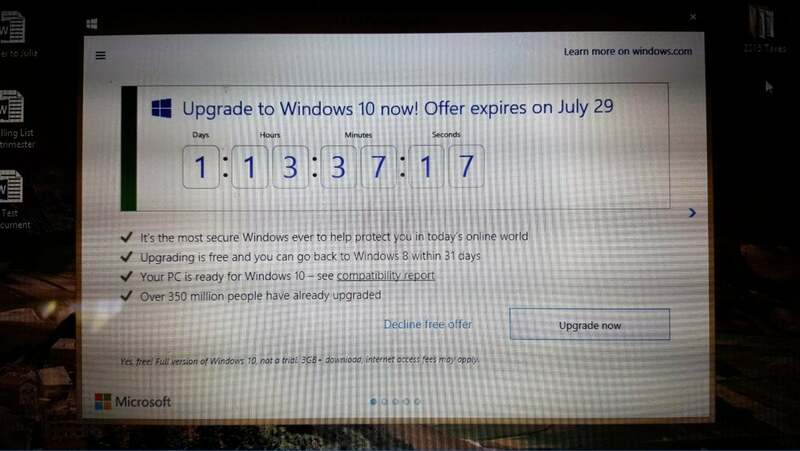 Everyone else just sees Microsoft trying to force a locked-down OS upon them. Is Microsoft still a consumer company? Microsoft’s decision to join Movies Anywhere, its talk of extending Game Pass to PC games, and numerous initiatives within its Xbox console division (from buying up major studios to Xbox Games to the Xbox Adaptive Controller with Gold and Game Pass) says the company still is. The demises of Windows phones, Groove Music, and (possibly?) Cortana suggest it isn’t. For many, the face of Microsoft’s consumer efforts is its Xbox division. 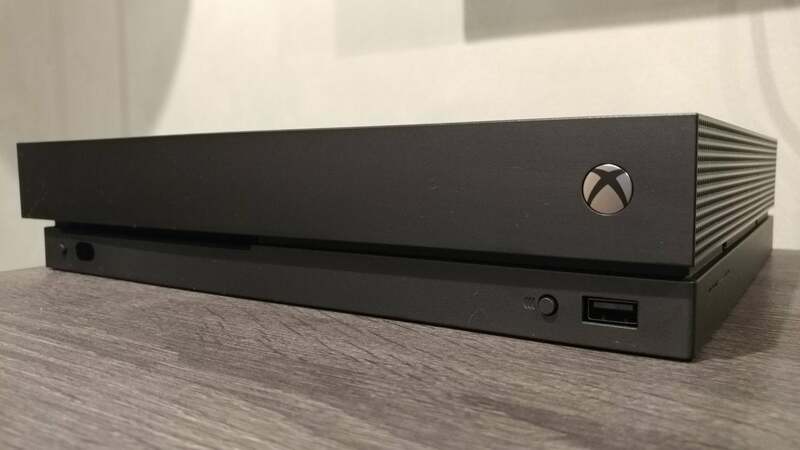 We just wish there were a consumer advocate across the company, so that people using Windows could be assured of having a PC-centric games store to complement the Xbox marketplace. No one knows from year to year what Microsoft’s stance will be, sowing uncertainty. There’s one consumer area where Microsoft has delivered consistently. Year in and year out, Microsoft champions those who don’t use its products in ordinary ways, and designs extraordinary means of allowing those people access. The PC boasts technologies from eye tracking to Windows’ Narrator. But the Xbox has lacked something similar—until the Xbox Adaptive Controller debuted. 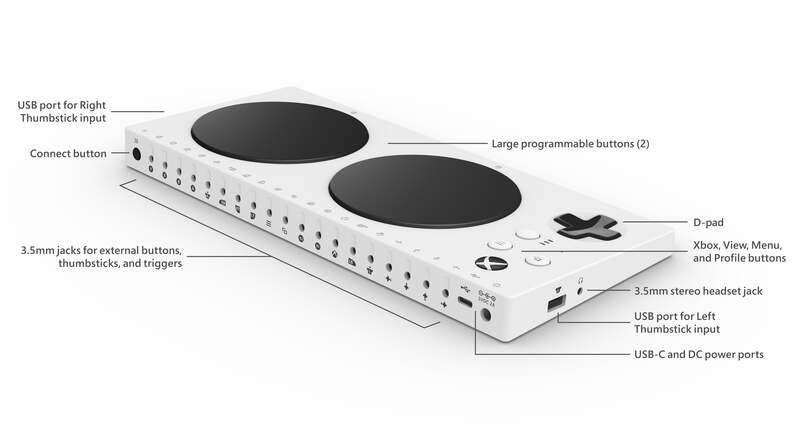 Though the massive, iconic touchpads dominate the Xbox Adaptive Controller, it’s the flexibility the ports engender that enables gaming for a large number of people who would otherwise go without. Boasting two large touchpads that make gaming easier for those with limited mobility, the controller also boasts several input jacks to adapt the gaming experience for particular needs. The Adaptive Controller is an exemplary product, and worthy of praise. In January, the “assistive loophole” closed, ending the last opportunity to upgrade from Windows 8.1 to Windows 10 for free. Now, you’re forced to pay $139 for Windows 10 Home, and sometimes more for standalone media. While we see where Microsoft’s coming from, we would have chosen a different path. Microsoft should have taken steps to prevent new Windows 8 licenses from being sold, and continued to charge for new Windows 10 licenses. But in our view, it should always be free to upgrade from Windows 8, or even Windows 7. Man, doesn’t 2016 seem like ages ago? Up until now, PCs have modeled real life by simulating textures painted onto 3D polygons—enough to put out a pretty convincing simulacrum of an alien planet, but still a bit off. 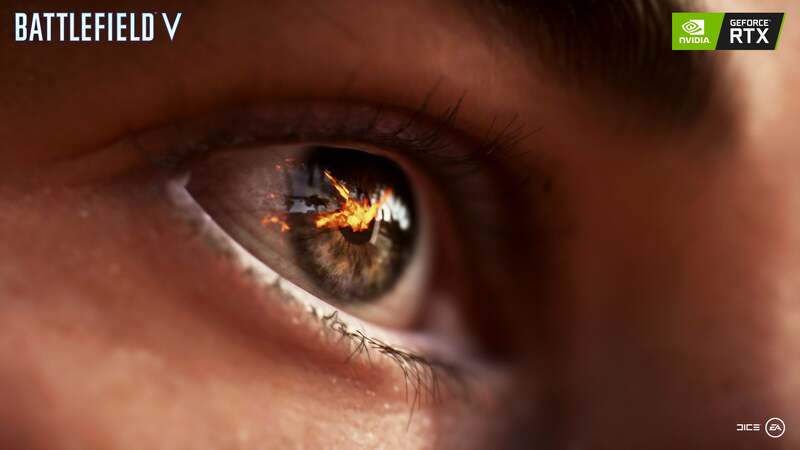 Microsoft, together with Nvidia’s RTX hardware, unveiled a new version of DirectX that enables ray tracing—actually modelling photons as they fly through the air. It’s essentially true photorealism: expensive, computationally intensive, and utterly jaw-dropping. PC graphics changed forever this year, and Microsoft enabled the shift. Ray tracing—modeling “photons” as they fly through the air, reflect, and move through translucent surfaces—is hugely expensive and still limited in its use by games. But doesn’t it look marvelous? 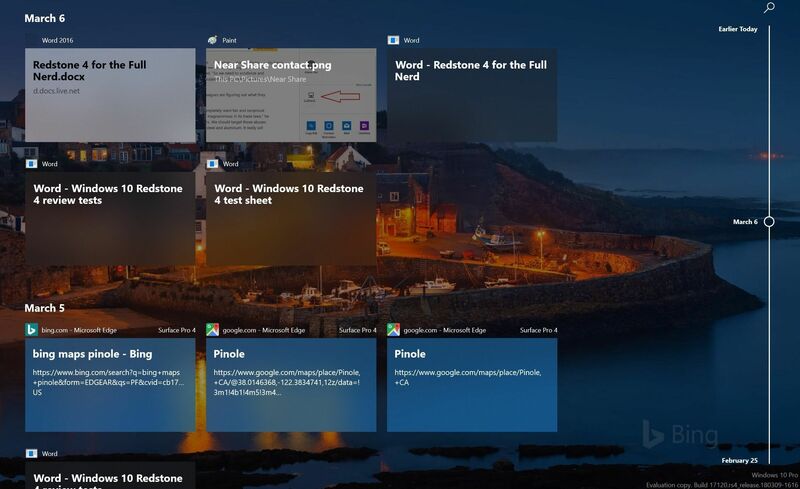 Windows 10’s Timeline feature. How much do you use it? As for the Windows 10 October 2018 Update—oy, the less said, the better. A step down from the April 2018 Update, Cloud Clipboard and the Your Phone app were its neatest tricks. But the October Update will forever be known for being pulled after it was found to delete data, and then later reissued in November. Microsoft scarcely promoted one of its key victories: polishing Edge to become a decent browser. But even if Edge has finally succeeded, no one cares. At the beginning of 2017, Microsoft’s built-in Edge browser held 3.32 percent market share, according to Net Applications. By November 2018, it had reached 4.22 percent. Little did we know that shortly after we were blessing Edge with a positive recommendation we would be writing that a future version of Edge will be built on Chrome. 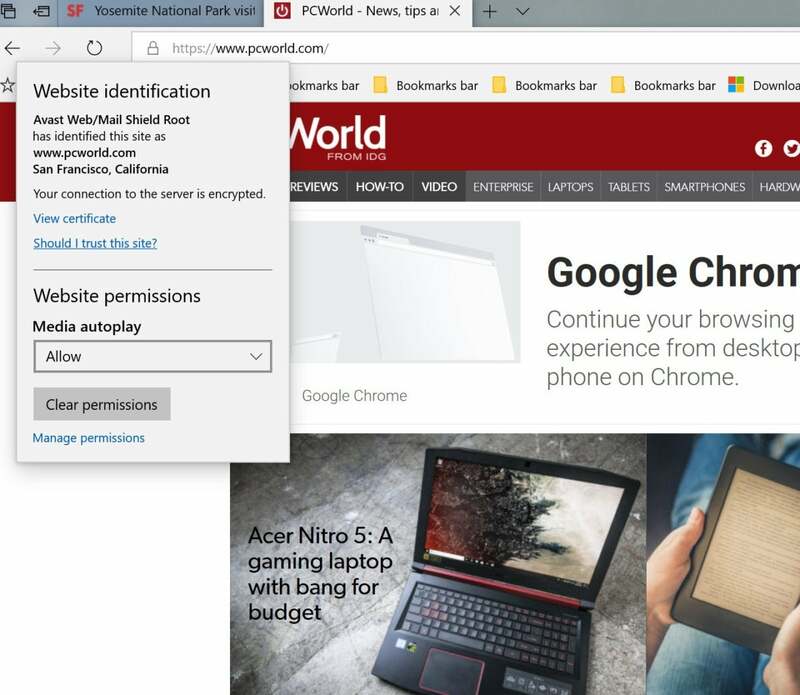 Microsoft seems to believe that users will prefer an Edge-flavored version of Chrome. Will users buy it? We’re doubtful. Either way, it’s a puzzling shift, and essentially concedes the browser crown to Google. How many features of Edge, such as its per-site media autoplay controls, will carry over to “Microsoft Chromedge”? A win for Microsoft, a loss for you: When the standalone Office 2019 debuted this year, you could just feel Microsoft’s lack of enthusiasm. As we noted way back in 2017, Microsoft doesn’t want you to buy Office 2019. 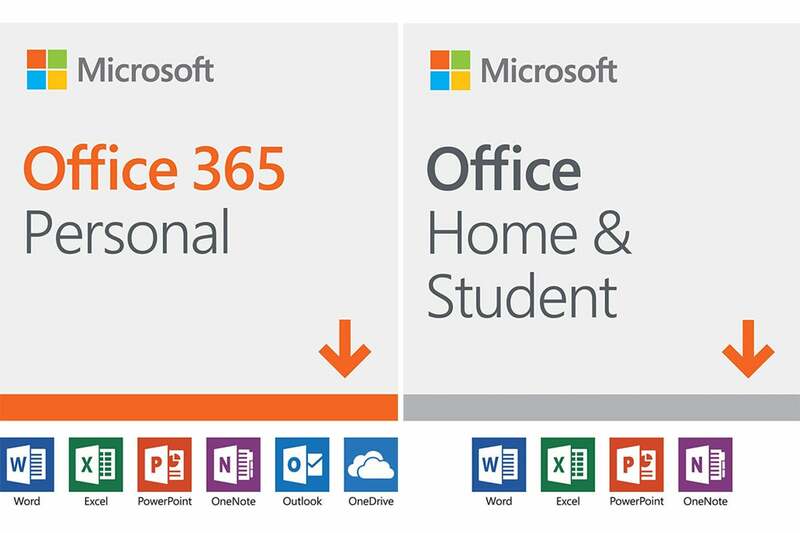 Instead, the company wants you to pay and pay and pay for Office 365, in a subscription that renews every year. Office 2019 is therefore a slice in time, while Office 365 continues to add features every month. In Microsoft’s defense, that’s a perfectly valid model, and the company highlights the new features that it continually adds. But you can’t help but feel a bit used by Office-as-a-service, too. Remember just two years ago (!!) when we were surprised to see Google Assistant emerge as something more than just a series of notification cards? Today, Amazon’s Alexa and Google Assistant vie for dominance, while Cortana has remained relatively static (and Siri’s just an afterthought). As for Cortana? Besides the Harman/Kardon Invoke smart speaker—which was being dumped for $50 on Black Friday—and a thermostat from Johnson Controls, Cortana never really established itself in the home nor the car. Cortana’s integration of Amazon Alexa, while a positive, could also be seen as a capitulation. Meanwhile, Cortana chief Javier Soltero, who spoke well of Cortana and its future within various apps, has decided to depart the company. 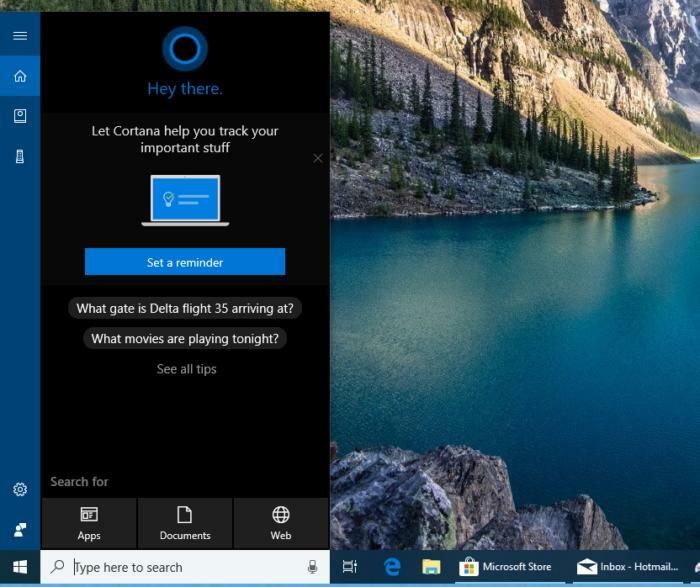 Cortana can still be triggered via the Search box on the Windows 10 Taskbar, but she seems more like a reminder engine than anything else. Cortana’s a bit of a mystery—not quite dead, but without the pride of place it once enjoyed within Windows. I still use it frequently, but for many Cortana is simply nonexistent. Keep reading to hear about Microsoft's a stand against ransomware, and more.